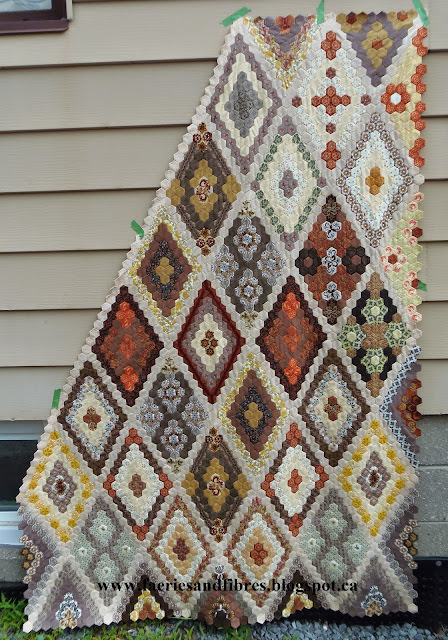 This week is all about your old Edges and English Paper Piecing posts! Okay guys, I got this theme off the internet to be quite honest, so with that said, you just go for it. Edges....I don't know, does that mean borders? bindings? LOL!! Oh my inexperience is showing! I so enjoy your 'Tuesday Archives'. Thanks! I am in awe of the EPP!! Thank you so much Valerie for those fun parties! Thanks for highlighting my blog Val! I do love quilt making, especially using the English paper piecing method! Wow, thanks for this linky. It made me realize I haven't posted any of my hexie progress in way too long. I need to get that done! Fun linkies, Val. I only found an EPP - well it's not exactly, but could be. Will you ever go to the kind of linky with little pictures? I didn't have time to link up this week, but it's fun to see everyone's history. 2nd Annual Piggy Bank Challenge Participants! ALYofF June Dog Themed Quilt is Finished!